Citizens needs to get their name included in the Voter List and must check their name in the Downloaded Voter List With Photo to caste their important vote. NVSP Service Portal is a major initiative of the election commission to ease down the process of getting voter id card, checking status, application for addition / deletion / modification of name in voters list and taking out the Voter ID Card Print. Voting is the constitutional right of all the citizens in India and is essential component of Democracy. People must come out and caste their vote to elect a govt. “Of the People, For the People & By the People”. Here new voters will have to enter their details correctly and upload their Recent Photograph, Age Proof and Address Proof before hitting the “Submit” button at the bottom. After the submission of the Registration Form, candidates will get Registration ID. On Final approval by the Concerned Authorities, the name of the citizen will get included in the CEO Voters List. Citizens are also entitled to make modifications in the Electoral Roll – Deletion / Objection in Electoral Roll (Form 7) and Correction in Voter List Entries (Form 8). After making corrections, people can download the Duplicate Voter ID Card. 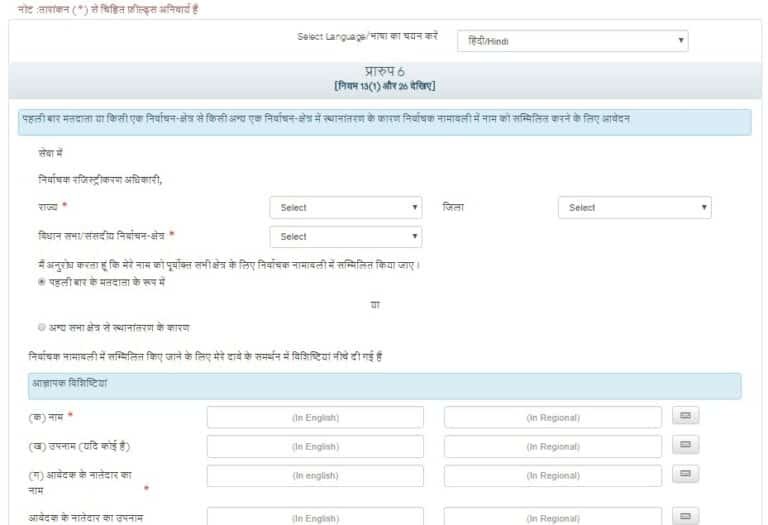 Here candidates can directly enter their EPIC Number (Pehchan Patra Number) or can make search through Name, District, Gram Panchayat and other details. This site http://electoralsearch.in/ will also tells the Citizens about their Booths, Assembly Constituency, List of Booth Level Officers (BLO’s), ERO’s etc. After finding their Name and S.No in the List, candidates can download their Voter ID Card. After the name of the candidates appears in the Voter List with Photo. Then the candidates can download their Voter ID Card / Electoral Photo Identity Card (EPIC Card). « 4 Years of Modi Government – Progress Report of Major Welfare Schemes of Narendra Modi Govt.